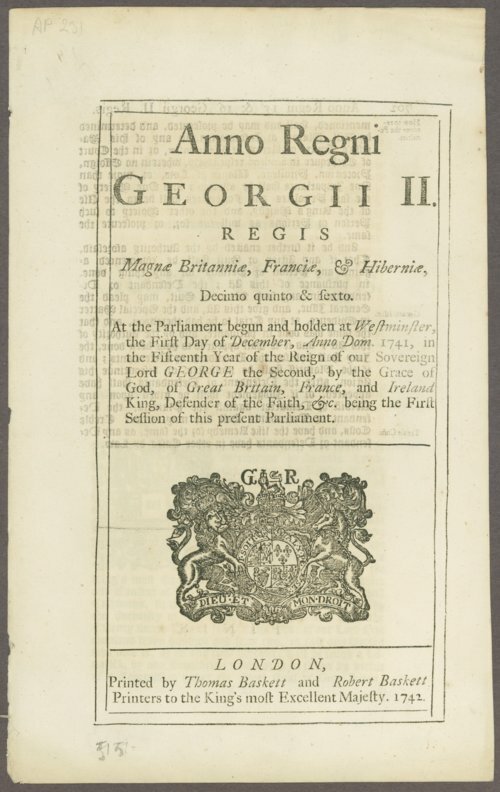 This collection of materials consists of miscellaneous handwritten and printed copies and originals of documents directed and/or signed by the Hanoverian kings of England of the mid-18th through early 19th centuries. Most of the documents are related to the regulation of madhouses or the insanity of specific individuals, including King George III himself. Other documents are of more general interest, including engraved images of King George III and some of his physicians, two letters from May 1801 regarding troop deployment in Egypt, a 1773 document regarding duties on candle-making and other taxes in Scotland, and the formation of a court martial system.